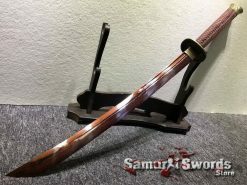 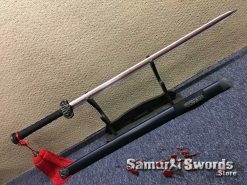 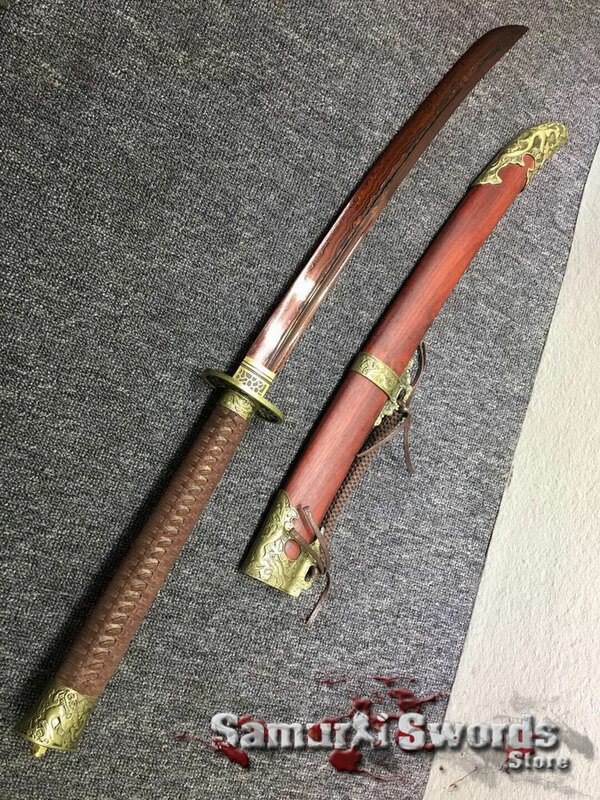 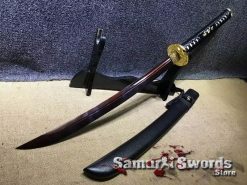 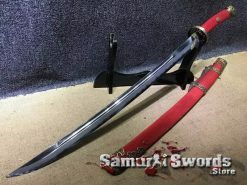 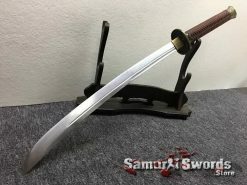 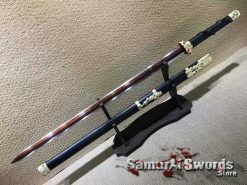 1060 Folded Steel Chinese Broadsword with Red acid Dye, Double Bohi and Metal fitting. 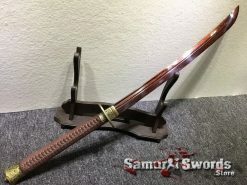 the blade is full tang, featuring Red Wood Scabbard. 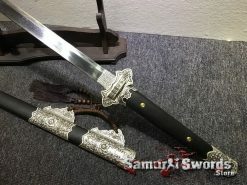 Chinese blades have a long history in China. 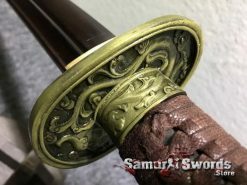 These began from stone swords, bronze ones, etc. 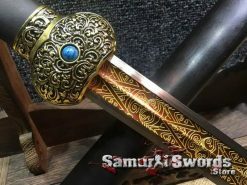 Because of this, a lot of sword collectors and enthusiasts want to include the Chinese sword to their collection. 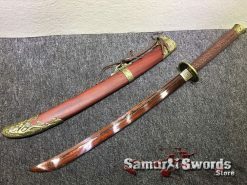 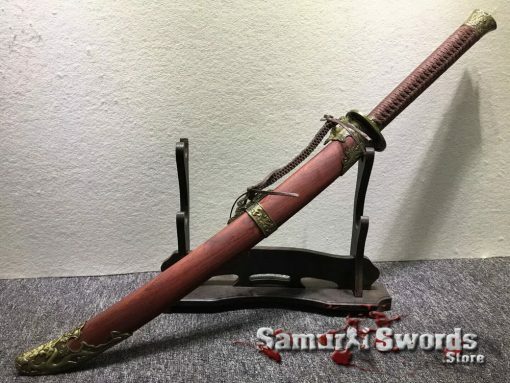 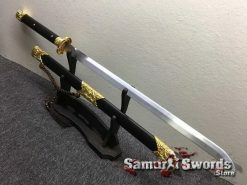 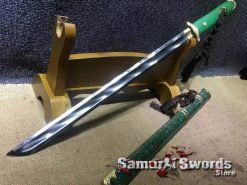 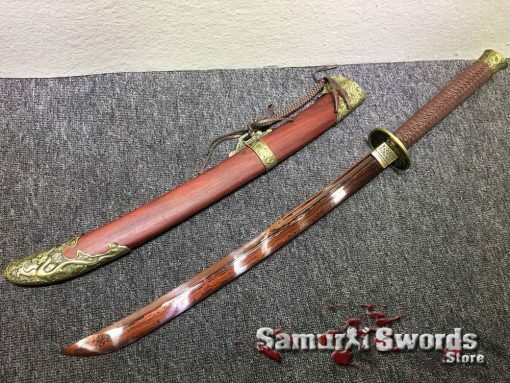 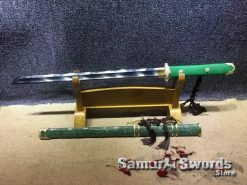 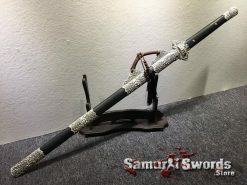 If you are one of them, itd be smart to invest in this Chinese broadsword with a redwood scabbard. This Chinese broadsword features a double blood groove. These are also called blood gutters and fullers. 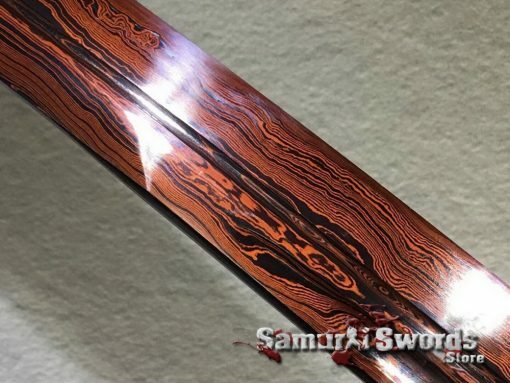 Despite this, the blood groove doesnt have anything to do with blood. 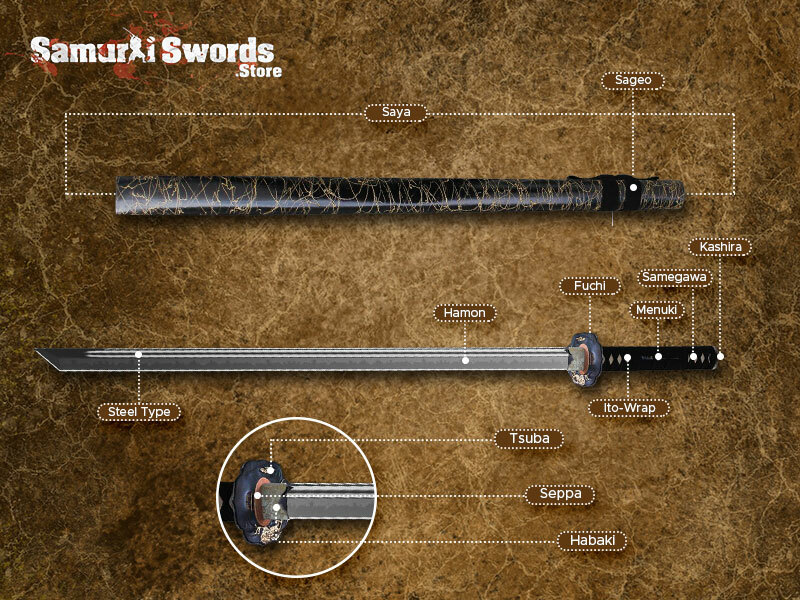 It helps lighten the blade, also making it easier to swing and wield. 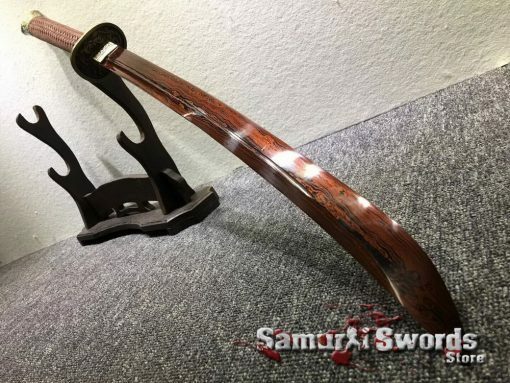 This also works like the I-beam used in construction. 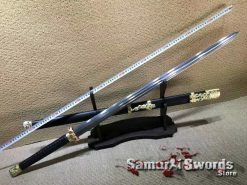 The fuller makes this 1.65-kilogram broadsword appear lighter. 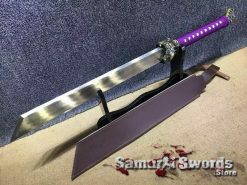 For its blade, it measures 53 centimeters long and 3.3 centimeters wide. Its grip is adequately sized at 32 centimeters. This allows you to properly and comfortably grip the Chinese broadsword with two hands. 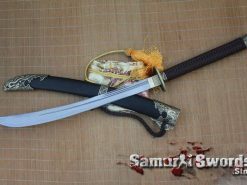 The Chinese broadswords steel is sharpened to perfection. 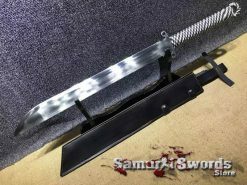 This makes it functional and able to cut soft to medium targets. 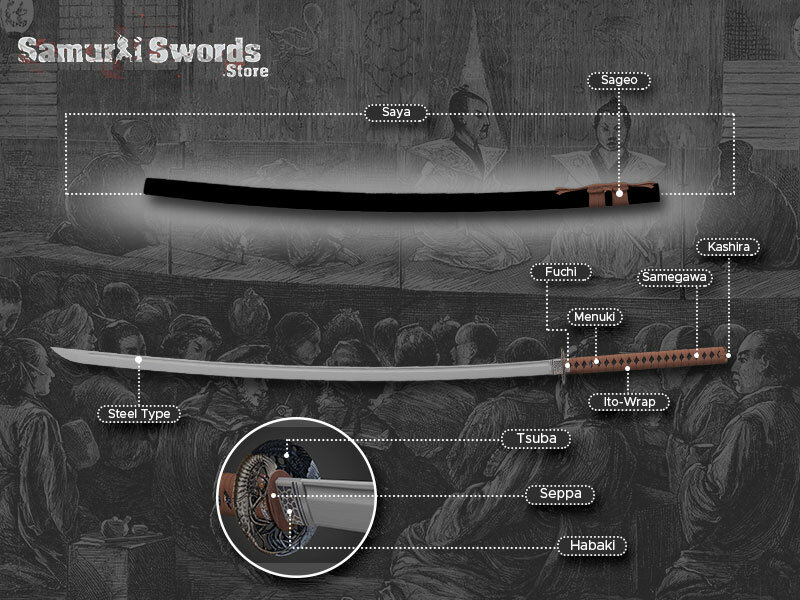 The blade is made of 1060 steel that has 0.60% carbon content. 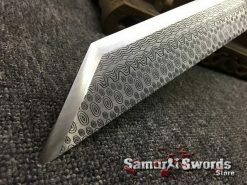 Its steel is also folded, causing subtle grain patterns to appear on its surface. 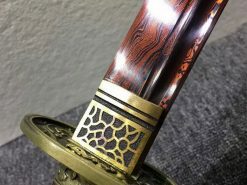 This is mainly for artistic value. 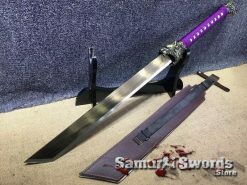 It doesnt affect the performance or strength of the blade. To adds to its aesthetic value, the blade is dyed red, giving it more appeal and beauty. 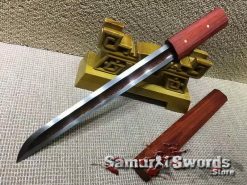 This Chinese broadsword is a full tang piece. 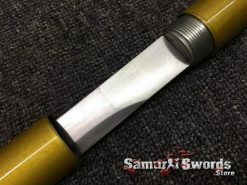 This means that its blade goes all the way to the handles length. 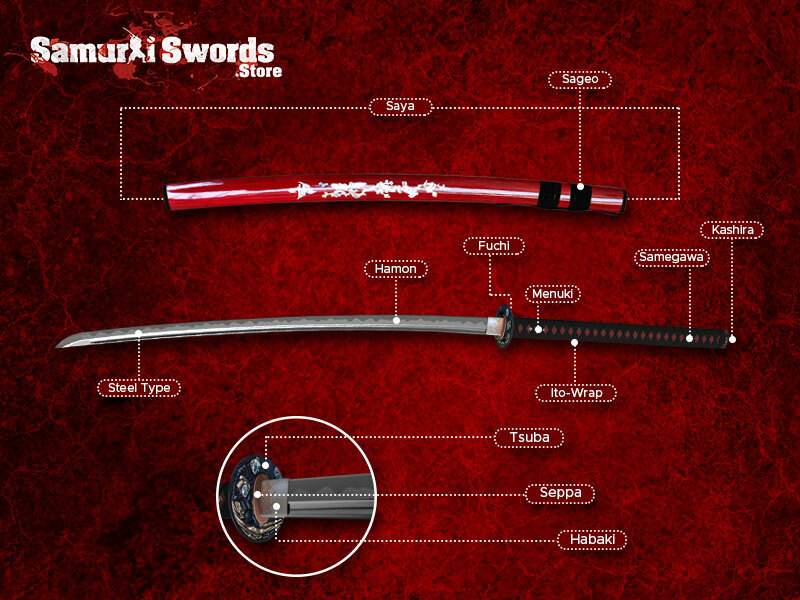 This is good since it makes the grip and blade one solid, sturdy, and durable piece of metal. 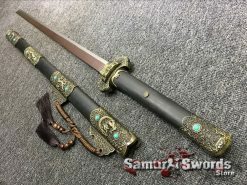 Numerous fittings make up this Chinese broadsword. 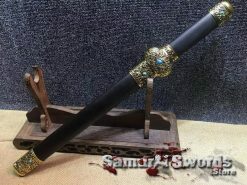 It consists of the hilt collar that covers the grips opening, the handguard for protection, and the pommel for balance. 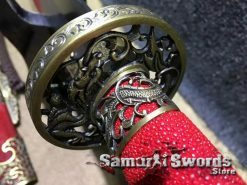 These are all made of metal. 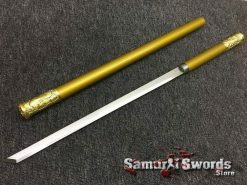 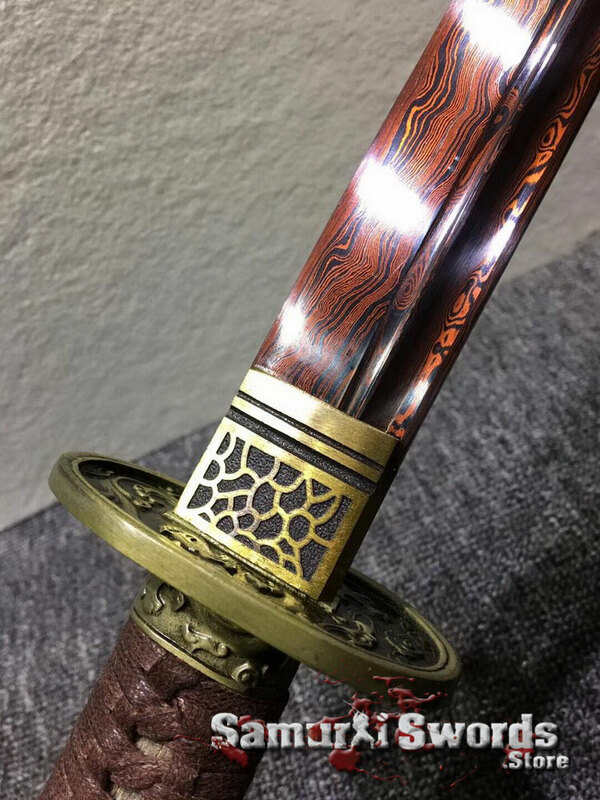 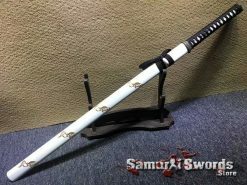 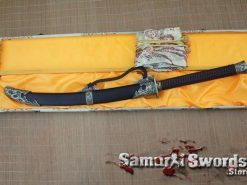 This Chinese broadsword also comes with a beautiful scabbard. 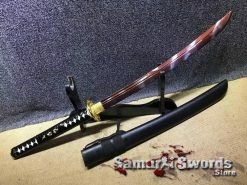 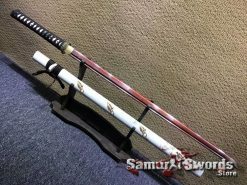 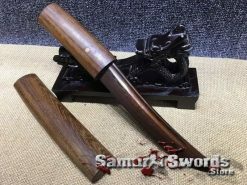 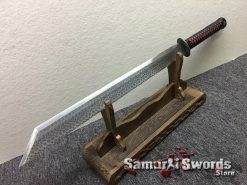 It is made from durable red wood and it helps protect the sword. 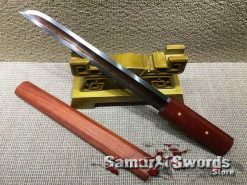 This is necessary to preserve the blade, preventing unwanted damages and breakages. 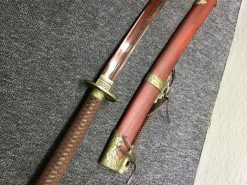 A silk sword bag is also included for additional protection. You can also use this for carrying the sword around. 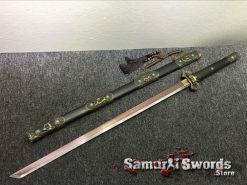 The Chinese broadsword wasnt a common military piece unlike the jian. 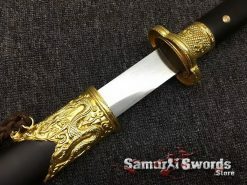 However, it became a popular sword among the cavalry in the Han dynasty. 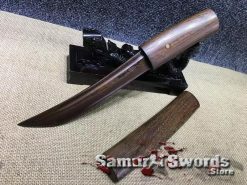 This was due to its sturdiness, durability, and excellence when it came to chopping. 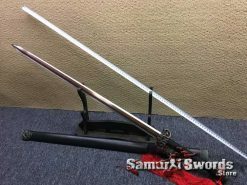 Also, it was very easy to use. 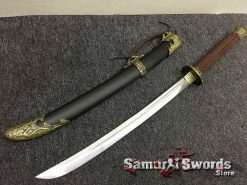 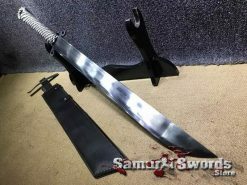 Eventually, the Chinese broadsword was issued to the infantry, replacing the jian as a standard weapon.